My mom used to make me dehydrated banana slices as a child and I would eat about the equivalent of 8 bananas in a day or two, they are just that good. 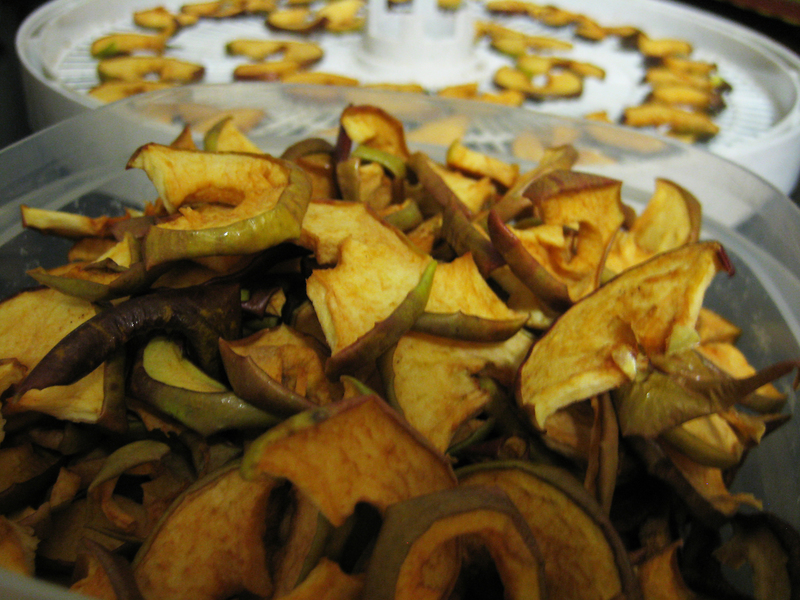 If you like candy, you will love dehydrated fruit. 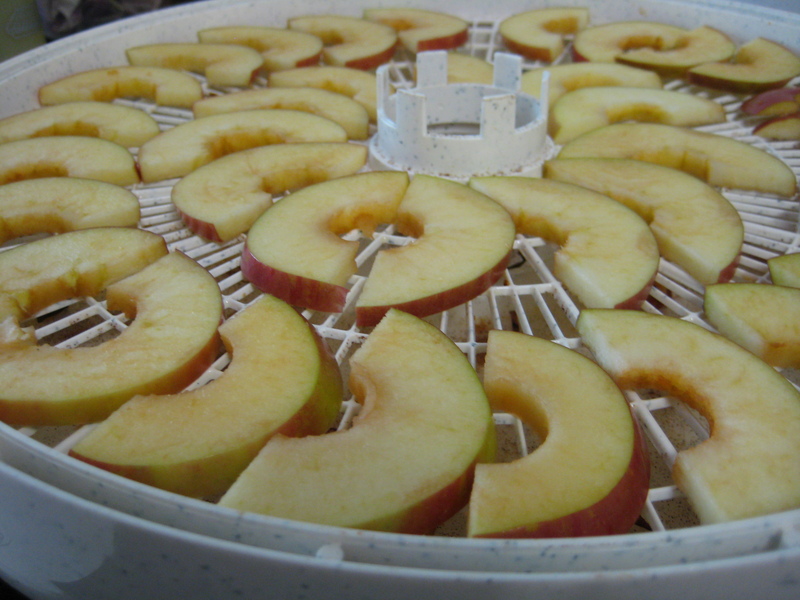 The food dehydrator is a small investment to make if you use it as much as we do. And if you have kids, it’s a great way to get them to eat fruit also! 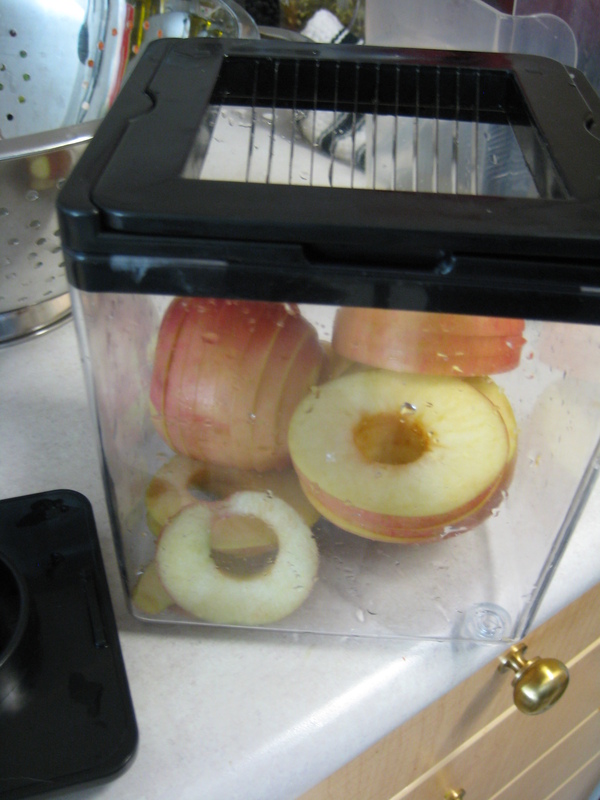 Your food dehydrator will come with directions on how long and the temperatures to use for different things. I’ve done pineapple, apple, banana, and strawberries. I always take the dried fruit to work with me for a snack. We also just bought a food slicer/chopper device. It makes things quick and easy in the kitchen – a good purchase.